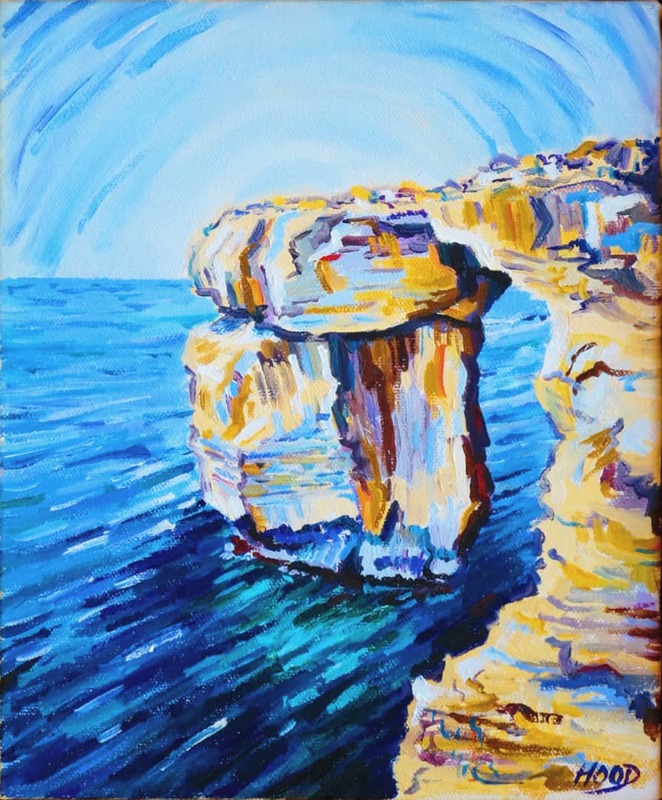 An impressionistic take on the Azure Window, which once stood almost 100 feet above the Mediterranean Sea off the coast of Gozo (Malta). I got to see this masterpiece of nature in 2000 and painted this oil on canvas shortly thereafter. Sadly, the stone arch collapsed into the sea after violent storms in 2017.